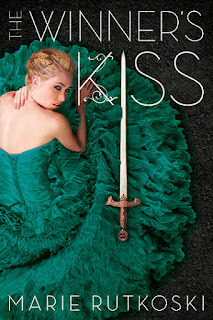 Curiosity Killed the Bookworm: The Winner's Kiss + Win the Trilogy! 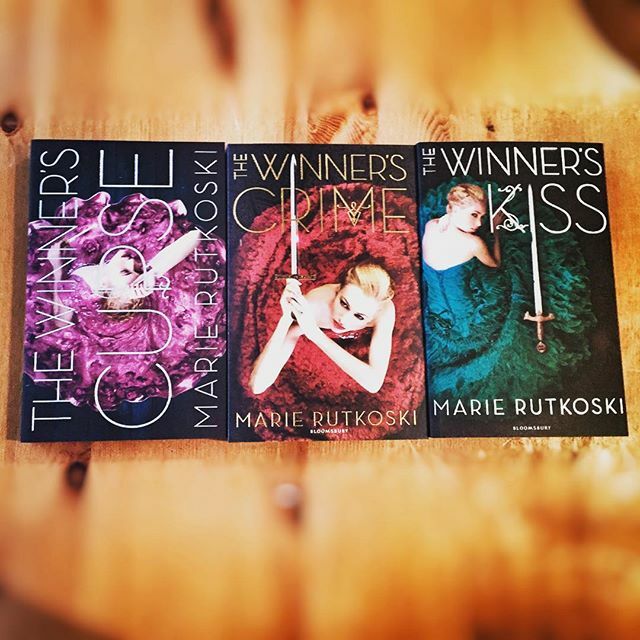 As part of The Winner's Kiss blog tour, I'm sharing my review of the conclusion to this trilogy AND I have a set of the books to give away! As this is the final instalment, this review may contain spoilers for the previous books; The Winner's Curse and The Winner's Crime. After ten years of slavery, Arin knew obedience in its many forms. The fear of pain, the gritty promise to oneself of vengeance. Hopelessness. A grinding monotony broken just often enough by the strap or fist. There’s so many trilogies I’ve started over the years and never finished, it’s quite a treat to sit down with a final instalment now and then. These books have left readers yelling at the pages, can’t you see what’s right in front of your eyes?! At the start of The Winner’s Kiss, it seems the relationship is without hope, will Arin ever know the truth and will it be too late for them? The sulphur mines do not treat Kestrel well and the prisoners are drugged to keep them working and preventing any kind of rebellion or escape. She believes she is stronger than that, but as the days go by, her freedom seems to be slipping further from her reach. Arin is still under the presumption that Kestrel doesn’t care about him or his people’s plight, which might feel like it’s been going on too long. But it’s OK, remember that guy Kestrel gave the moth to? He does appear and we don’t have to spend the whole book willing Arin to see the light. Phew! What happens to Kestrel in the work camp gives her and Arin a second chance, wipes the slate clean. They can get to know each other on what seems a much more equal footing. In The Winner’s Curse, Kestral was master and in The Winner’s Crime, Arin was captor, neither a particularly healthy dynamic for a romantic relationship. Here, they are two soldiers, two people desperate to free the country they both feel is theirs. She doesn't even know who she is anymore. How can she find out if she's never alone with herself? There’s a lot of tactical manoeuvring and if I’m honest, I felt the book was a little slow in places. However, Kestrel’s strategic qualities are part of what sets this story apart. She is not just a noble woman with a heart, she is the general’s daughter with a great military mind. She’s an asset to the rebellion. As their tale comes to an end, we’re left with some unexpected friendships and a few tender moments in the face of war. The Winner's Kiss is published by Bloomsbury and is available now in paperback and ebook editions. Thanks go to the publisher for providing a copy for review. Follow the rest of the blog tour with #TheWinnersKiss hashtag. Want to win this beautiful set of books? One lucky winner will receive the complete set. Perfect if you're yet to discover Marie Rutkoski or you've been reading ebooks. This giveaway is open to Europe only (sorry rest of world!) but you don't have to follow me to enter. See the Rafflecopter below more information on how to get extra entries. This series sounds amazing and judging by the rave reviews it's gotten I have no doubt it will live up to my expections! I would really love to get my hands on these books! !